This Loggerhead Shrike looks a bit guilty. Sure enough, it was the "butcher bird"! 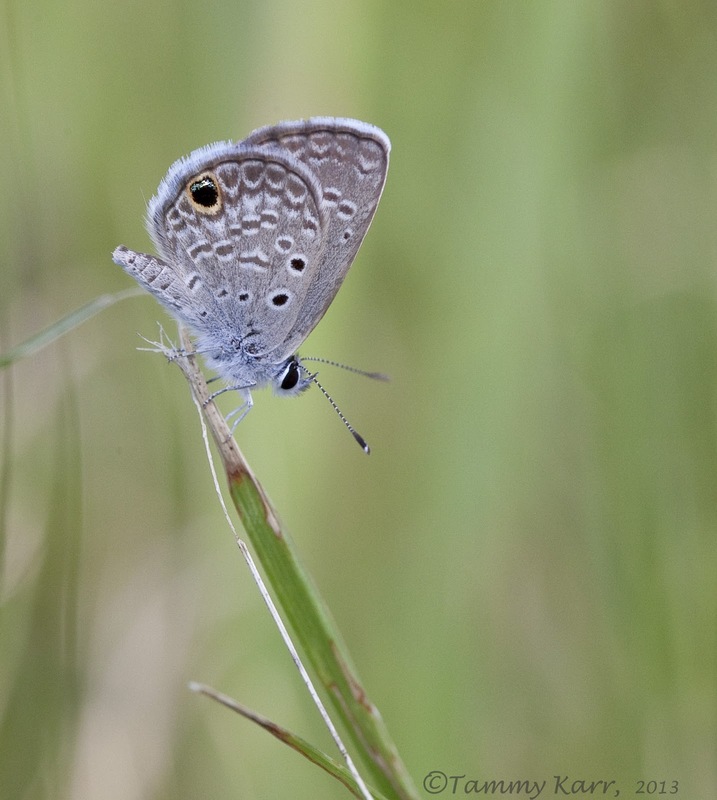 I was a bit annoyed with myself that I got busy following this Ceraunus Blue and missed the impaling event. At least I got my first photo of this tiny, colorful butterfly with its wings open. 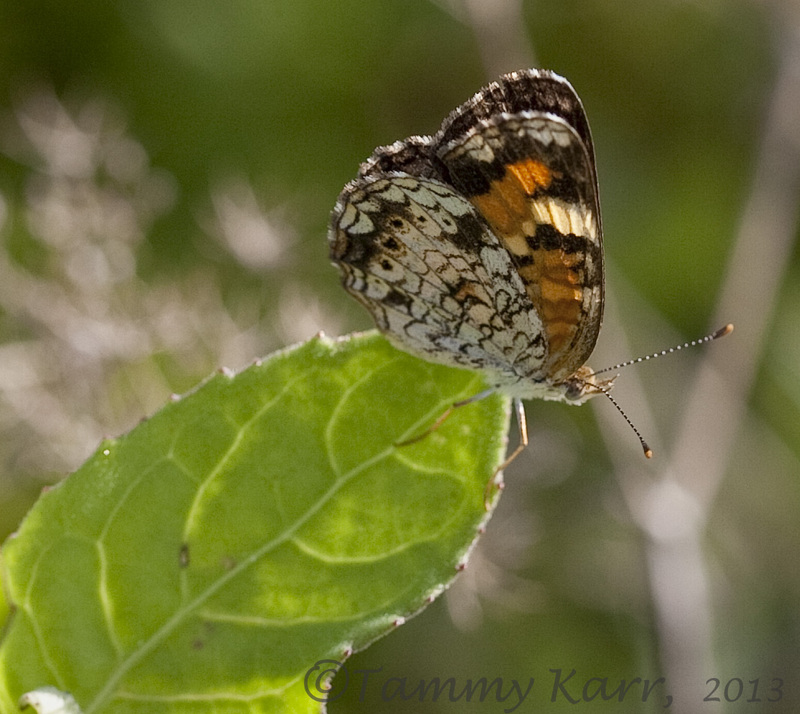 Another slow day for birds, but lots of butterflies still around. As our Shrike .. Congratulations Tammy .. Very good sequence .. And pretty pictures of butterflies.. Cheers!!!.. Hi there - they dont call them butcher birds for nothing! The two osprey posts are remarkable! PS: WBW links always welcome! Photo 2 and 3 are my favorite. 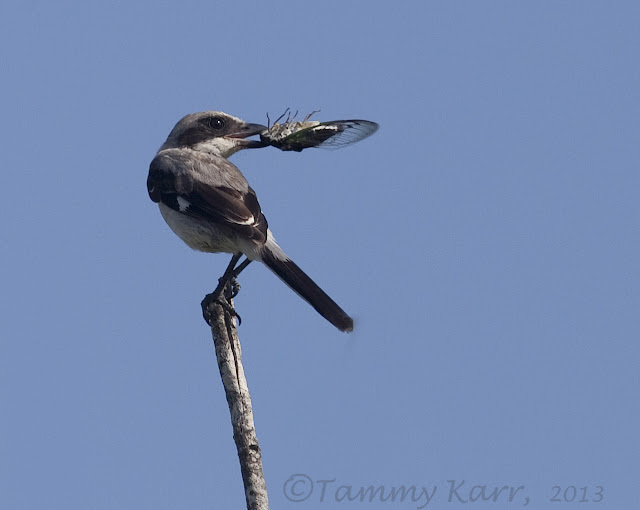 I love the Shrikes Tammy, I use to love watching them in my mates back yard in Miami, and the butterflies, I didn't realise there was so many similar to ours. Phenomenal Tammy! I love how you start your posts; always with a good sense of humour. Great macro work too Tammy! Another great set Tammy. I'm liking these butterfly and dragonfly posts. Love the blue butterfly I surely would of missed the impalement for that. Great shots as always. Wow, amazing detail on that meal. The butterflies are beautiful. Great series! The Shrike is a really interesting bird. That's a beautiful butterfly that I have yet to see - I understand the distraction! Same here, lots of butterflies...I love the yellow and the pale blue one..Thanks so much for visiting my blog and for your lovely comments. cheers. Tammy, cool shots of the Loggerhead Shrike and I love all the butterflies. Gorgeous photos, happy weekend to you! Yeah it's always sad to miss a good impaling event, but sweet shots nonetheless! Back to comment on this fantastic post! How unusual to capture this Shrike with its impaled prey! 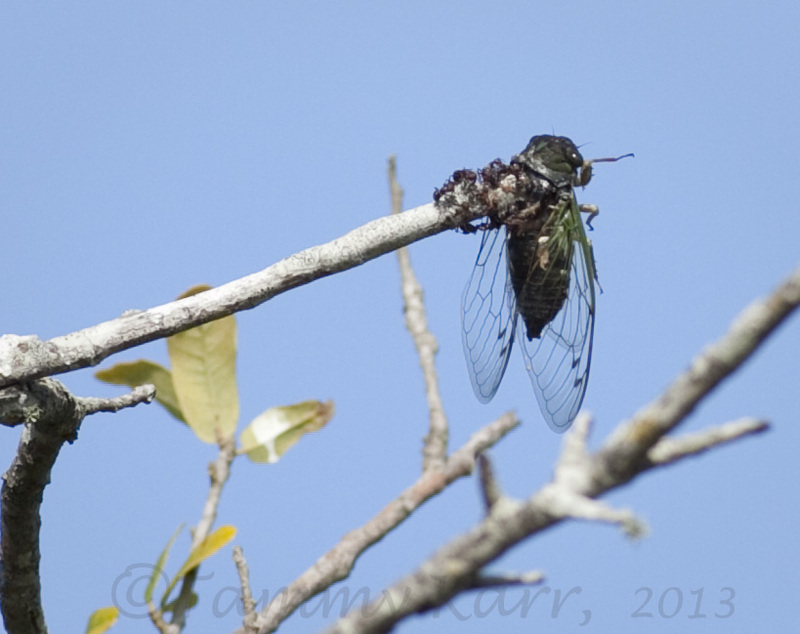 And a cicada to top it all! Enjoy your Sunday, keep well! Brilliant Shrike Tammy, and the butterflies, they are superb. 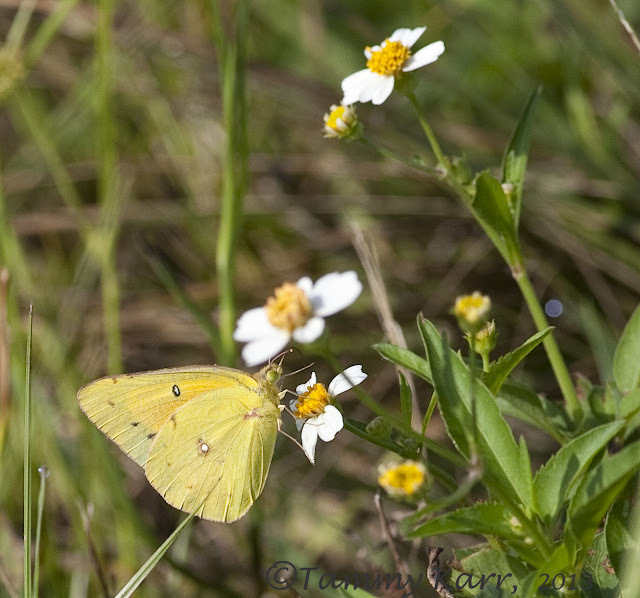 Great pictures of the Loggerhead Shrike and the butterfly, good sharpness and fine colours. 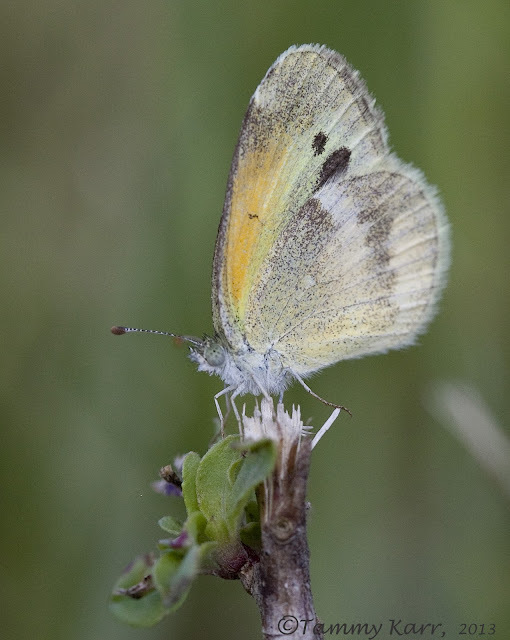 Lovely serie,the first photos of the shrike are my favorites but of course the butterflies are stunning too. I'm kind of glad you missed the impaling moment :) The actual bug on a stick was gruesome enough! In direct contrast your butterfly pictures are full of fairy-tale fluffiness and beauty. Gorgeous shots Tammy. Have a happy weekend Tammy! The whole story unfolds before your eyes and you captured it. Thanks for your reply, I am glad to read your positive answer to my invitation on "Libellules de France". It would not be just for one post, though, if you become an author, it would be for publishing several posts per season. Good luck with work, I can imagine what it is like after 2 month holiday! 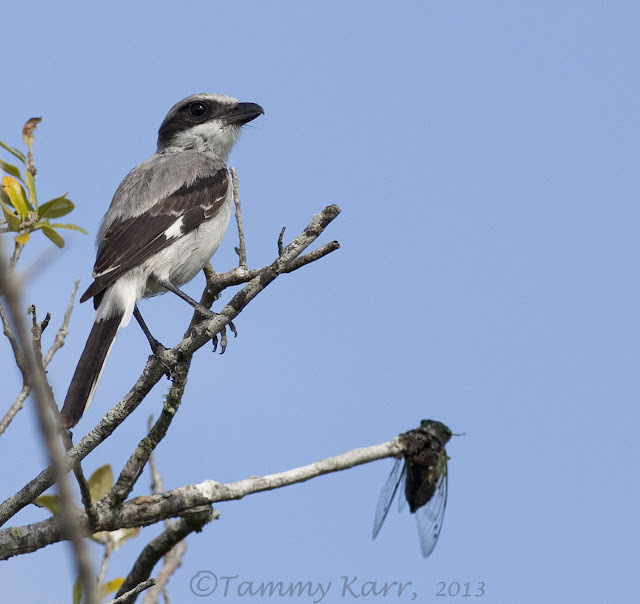 Fantastic captures of the Loggerhead Shrike aka 'butcher bird':) I spotted one but didn't know what bird it was. Thanks for the ID. Your butterfly distraction payed-off big time Tammy. Each butterfly is a beauty. Very good shots of that hungry bird. Great moment you've caught there. 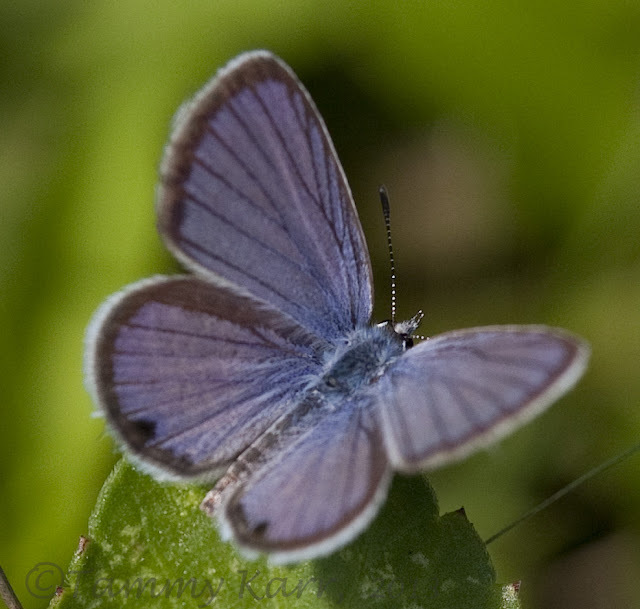 The shots of the butterflies are really fantastic too. Shot 4 and 8 are my favorites, they are very well done Tammy! !